SELINSGROVE, Pa. -- The Patriot Sprint Tour will sanction the 15th Annual Joe Whitcomb Memorial for 360 sprint cars at Selinsgrove Speedway at 7 p.m. this Saturday, June 16. 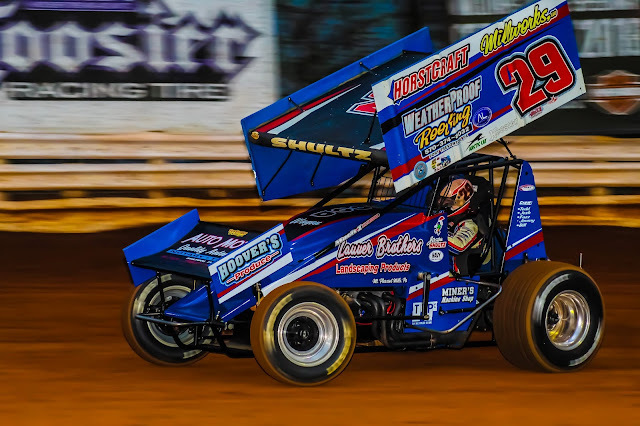 The tribute race will honor the memory of the late open wheel racer from Millersburg who succumbed to injuries sustained in a sprint car racing accident at the track on June 21, 2003. Saturday night’s racing program will be sponsored by Advanced Concrete Systems and will also feature the super late models, pro stocks, and roadrunners. Pit gates will open at 4 p.m. and grandstand gates at 5 p.m. The 25-lap Whitcomb Memorial will pay $2,271 to win and $271 to start. The format will be posted this week. The super late models will compete in a 25-lap feature paying $2,000 to win. The pro stocks and roadrunners will race in 15- and 12-lap main events, respectively. Previous winners of the Whitcomb Memorial include Nate Snyder of Halifax (2004); Kevin Nagy of East Brunswick, N.J. (2005); Blane Heimbach of Selinsgrove (2006, 2007, 2008); Pat Cannon of Etters (2009, 2010, 2013); TJ Stutts of Liverpool (2011, 2012, 2014, 2015); and Davie Franek of Wantage, N.J. (2016). Snyder, who has not been racing this season, won last year’s race. Whitcomb, a dedicated racer most of his life, began his career in go-karts at the age of seven. He won hundreds of races in karting and was a three-time national karting champion. A highlight during his karting career was an appearance on ESPN. In 2001, Whitcomb became a regular competitor at Selinsgrove in the 358 sprint car, driving his trademark blue and yellow number 71 racer. That year, Whitcomb became Selinsgrove Speedway’s Sportsman of the Year. Whitcomb won his first sprint car race at Selinsgrove on June 8, 2002, ending the five-race winning streak of champion Chad Layton. Whitcomb also won sprint car races at Williams Grove and Bridgeport Speedways during his racing career.